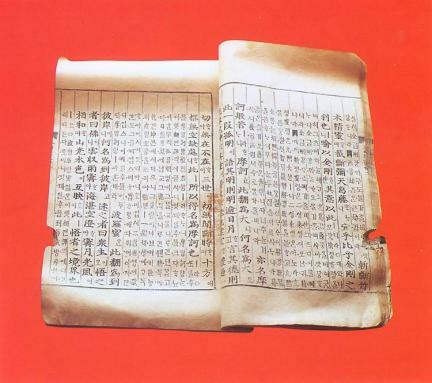 This book contains a portion of the Diamond Sutra attached with commentaries given by two eminent Song monks, Yefu and Zongjing, and one Joseon monk, Gihwa (1376-1433). 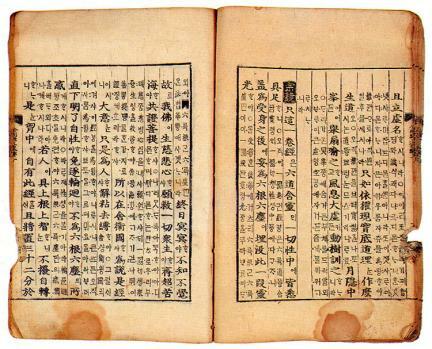 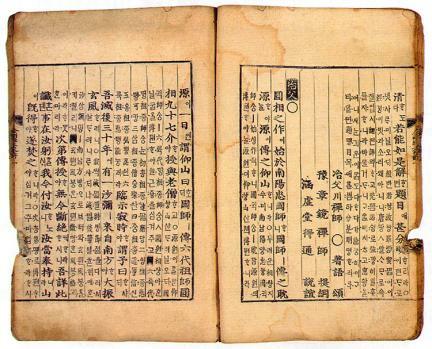 The commentaries were selected from Vajracchedika prajnaparamita Sutra (The Diamond Sutra) with Commentaries by Five Masters published in 1415 and added with Korean translations. 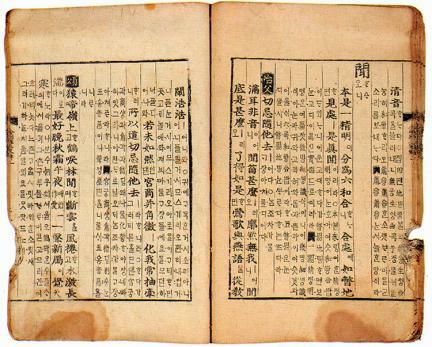 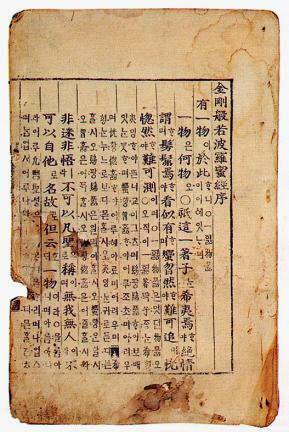 It is a tangible evidence to show that early Joseon rulers, King Sejong (r. 1418-1450) to King Seongjong (r. 1469-1494), were keenly interested in publishing Buddhist scriptures, and widely regarded as a valuable source of knowledge on the early use of Korean alphabets.